Sessions conference concluded that daily weigh-ins might be beneficial. 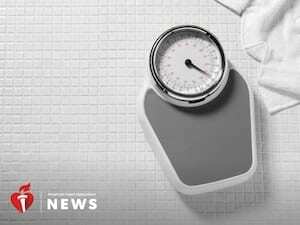 Researchers tracked 1,042 adults over a year and found that people who weighed themselves once a week or less did not lose weight, while people who weighed themselves six or seven times a week averaged a 1.7 percent weight loss. But there can be drawbacks to spending too much time on that scale. healthy living and weight loss, concurred. Several factors can affect anxiety and motivation. Different scales can yield different results at different times of day, which is why experts recommend using the same scale at the same time. “First thing in the morning is the best,” Zerner said. That number, Zerner said, isn’t always a true indication of progress. “If somebody loses a pound of fat and gains a pound of muscle, that’s two full pounds of change and that’s meaningful,” she said. Nor is the scale the only measure of success. waist measurement. Men are advised to have a waist circumference the distance around the natural waist of less than 40 inches, while women should aim for a waist that measures less than 35 inches.